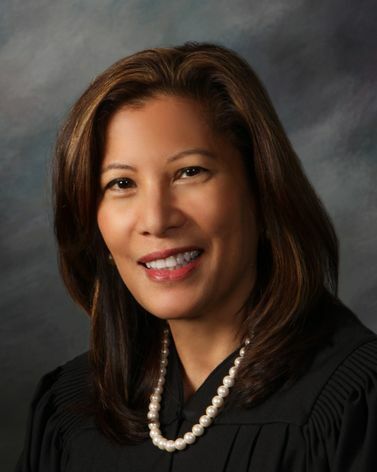 California Chief Justice Tani G. Cantil-Sakauye announced today the recipients of the 2018-2019 Civic Learning Awards to 92 schools, the most award recipients in the program’s history. School leaders from across the state learned about the Chief Justice's Civic Learning initiative at a major education Symposium on January 31 in Monterey. Chief Justice Tani Cantil-Sakauye participated in a panel discussion called, "Undermining the Courts and Media: The Consequences of American Democracy" at the National Judicial College Judges and Journalists Symposium. When Chief Justice Tani Cantil-Sakauye started her Civic Learning Initiative in 2013, she discovered that little time was devoted to teaching civics in California K-12 public schools, with no plans to bring it back. A special September 28 Constitution Day event featured the unveiling of a new Civics Passport for student visitors to Sacramento. A group of five recent graduates share how their civic engagement at a young age prepared them for their next steps in life. All have been involved in youth courts, youth government, and other civic education programs. Juvenile courts in California are uniquely responsible for the treatment and rehabilitation of young offenders. But increasingly, courts and schools are recognizing the value of keeping students in classrooms and out of the court system altogether. The Constitutional promise of being tried by a “jury of your peers” is taken to the extreme in peer courts, an alternative approach to the traditional juvenile justice system where teens judge other teens. The Court of Appeal Calendar Notice read "Tuesday, May 1, 2018 at 10 a.m. (Imperial County oral argument)", and after the oral argument session the case Dockets read "argued in Brawley." That's because the Fourth District, Division One traveled from its downtown San Diego courtroom to Imperial County to enable nearly 500 local students to experience their justice system in action, maybe to inspire some of them to become future lawyers, and perhaps even Court of Appeal justices. Administrative Presiding Justice Vance W. Raye announced that as part of its award-winning community outreach program, the Court of Appeal, Third Appellate District, will hear oral argument at Las Plumas High School in Oroville. Over 70 California public schools from throughout the state also honored by this year’s Civic Learning Awards, co-sponsored by Chief Justice Tani G. Cantil-Sakauye. In 2017, the state judicial branch strove to ensure equal access to justice for all Californians. This recap highlights the areas of highest priority. First held in Los Angeles in 2002, these events help court in several counties stay connected to their community.